 this will help me tailor the training precisely to your dog’s needs. Thank you. We try to reply within 48 hours. 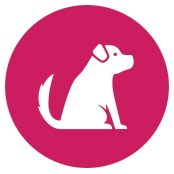 Please add joy@joyfuldogs.co.uk to your 'Safe Senders List' so you receive our email speedily! Cancellation Policy: If you need to change an appointment, please provide 48 hours’ notice. Failure to do so may incur the full session charge. 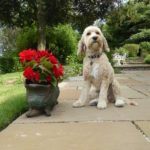 Call 07717 894414 for your free no-obligation consultation about how Joy can help you train your dog or puppy. 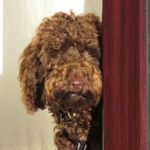 I contacted Joy to train my dog Ludo not to chase our cats! Over four sessions with Joy we had enormous fun learning techniques to distract and discourage him from chasing them, as well as learning a few new tricks. I now have a much better understanding of my dog, and he's already far less interested in chasing. I'm delighted, and really enjoying using the techniques Joy taught us. I would recommend Joy to anyone. She has a very lovely manner and is never, ever stumped. Thanks Joy! Wally is adorable but needed training quickly. A whippet's characteristic is to see and run..... I needed Wally to respond to recall and stay at heel before I could dare let him off lead. At 4 months he comes when I call him and walks beautifully (mostly). Joy was clear and concise in her teaching and helped me understand how my dog's brain works. Once I grasped this, I understood how to give instructions so he could respond in the right way. 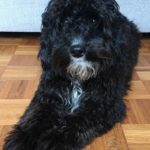 It's ongoing and practice is key, but I am confident that with Joy's help I'm going to have a well behaved and Joyful dog - if you want to enjoy your dog, contact Joy! Training with Joy has been so helpful for me and great fun for Bear too. Joy is a very kind, knowledgeable trainer and worth every penny! Joy helped me really enjoy training Ottilie. She's knowledgeable and straight forward with her advice using kindness and fun in training sessions. I loved her lessons as did Ottilie. One of my favourites being when we just sat on a blanket training Ottilie to be calm and not react in a park situation. I had 7 private lessons and it was such good value. I wouldn't hesitate to recommend Joy. She's fab. 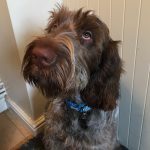 Thank you for such an enjoyable experience over the past 2 months at Puppy School; we have learnt so much, and I know Pippin has enjoyed himself and learnt a lot of important life skills! 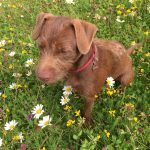 Looking forward to the Puppy Improvers course. Many thanks for your fab doggy training. Lauren noodle and I have really loved it! And, it’s been very helpful in guiding us with our new family member too. Thank you. The Puppy Improvers course has been brilliant for both of us. It’s given me confidence and Timm new challenges and purpose. The major breakthrough has been the ‘bounce’ which has been a revelation and really brought the two of us together as a team. We did the beginners course with Joy - brilliant! And the 'Improvers' course kept us focused. 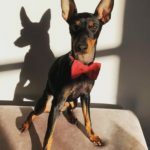 Joy helped me to understand how my actions and behaviour were important when teaching my dog, and also what I can expect at her age and stage of development. 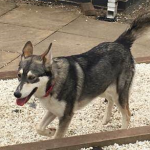 We loved the games to play with her, so have lots of fun whilst training with her. The “2 toy swap” and “Find it” are our favourites! 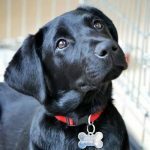 I wouldn’t hesitate to recommend Joy, her classes are small and calm and give your dog the best opportunity to learn. My puppy absolutely loved the classes! 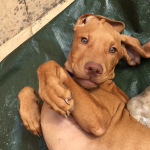 I joined 'Puppy Improvers' because of how much we enjoyed the original puppy classes with Joy. 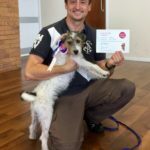 The Improvers course helped Roo focus on me - the Platform exercises were really helpful, as was the introduction of clicker training! I now have a better understanding of how my body language affects Roo understanding a cue, and how I can place myself to set Roo for success! Previously, my partner struggled to walk Roo off lead but now, my partner can comfortably walk him without the stress of wondering if he'll come back. Joy offers a calm and patient guiding hand throughout her classes. I 100% recommend Joy - she taught us games to play with Roo that I would never have thought of beforehand! 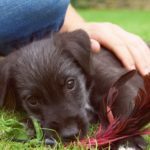 As new dog owners, with a boisterous puppy, we wanted support and advice. Joy's training helped enormously with Kipling's recall, in particular - the hand targeting techniques and introduction of the Clicker have been really successful. 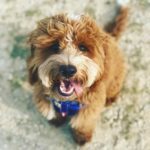 As a Cockapoo, Kipling is playful and needs lots of mental stimulation, so the games we learned (especially ‘Find It’ and other scent games) have kept him occupied and entertained. We also learned a lot from Joy’s general demeanour and body language around dogs. Kipling is much better at walking to heel now we’re using the clicker, and enjoys training sessions far more. We would absolutely recommend Joy - we found our time with her to be very valuable. 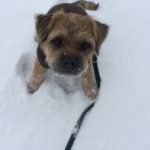 Since our first lesson with Joy we have been practising hard all that we were taught, and whilst still not perfect, we have enjoyed some of the best walks we have ever had with Twiglet (who is nearly 4 years old)! Joy is calm with Twiglet and very clear and informative about what I need to do to achieve the best results. We are both looking forward to our next lesson and can’t recommend her highly enough. 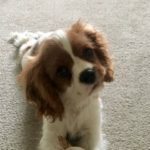 I just wanted to say a big thank you for the puppy training classes. Daisy has really flourished since attending classes and we couldn’t imagine our lives without her. We both had Dogs growing up, but she is our first together as a couple. 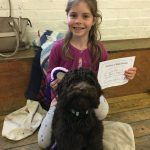 We always came away from classes feeling that both Daisy and we had learnt something that would benefit us moving forward and we still use exercises and tips we picked up from Joy – who was a very patient and understanding teacher. 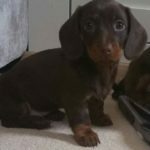 “Where do I start.....Joys puppy training was simply brilliant. 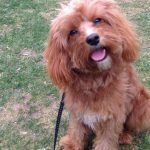 We acquired a Cockapoo from a rescue organisation. "Bella" has a lovely character and is quite compliant, but we needed some help with leash walking and recall control. Joy was very patient and very kind, and did a wonderful job of training us (the humans!) whilst showing us how to train Bella. Bella is now great at coming back with the whistle and even without, so much so that we can now let her run loose in the fields when we go walking. Bella has improved on lead walking too and we have no doubt she will end up doing it beautifully. I would very much recommend Joy; she is kind, patient and so good at explaining to humans how to train dogs. 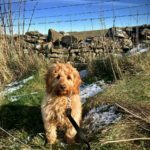 Training with Joy has been terrific and it’s been great to be able to tailor the sessions to what we wanted to learn or practice – both at home and out walking – and Murphy has loved it and soaked it up like a sponge! 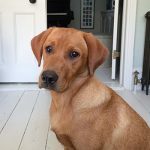 Joy has made it so easy for us to understand what we need to do to train Murphy, and taught us loads of tricks and games to make it fun for him and us! 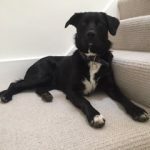 We would definitely recommend Joy to everyone, she is so lovely, calm and patient (with Murphy and us!) and has a wealth of knowledge about dogs and training. 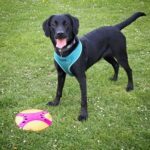 Murphy has loved it and we have a happy pup with lots of tricks up his sleeves! 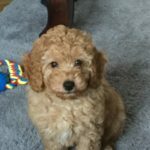 We did a couple of ‘one to ones’ with Joy - dealing with our puppy’s fear of walking outside and were so impressed with her we decided to do the Puppy Starters training course. 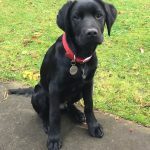 We were very pleased with all the training and help she gave us, but, most of all, it was the confidence that the training has given us in moving forward with our dog; We have also booked onto Joy's Puppy Improvers Course. 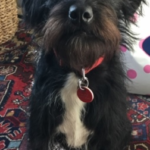 Having spent six weeks on Joy's Puppy Starters course, my Jack Russell - Buddy - has definitely improved his obedience, along with his ability to zone out distractions and concentrate on me a lot more. 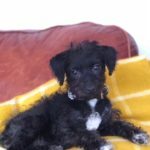 Buddy is a very active puppy and has bags of energy and is into everything; the variety of games and exercises Joy taught gave him lots of new skills that I can continue to work on. I would recommend Joy highly! 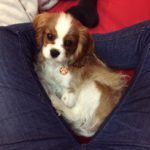 I will be signing up for her Puppy Improvers course soon! Thank you again for the classes, I have really enjoyed the training. You made Mabel and I feel so welcome and were very patient and tolerant. I valued your positive feedback and the way in which you engaged with every member of the class. You certainly made me feel as if we were achieving. We found Joy through personal recommendation. 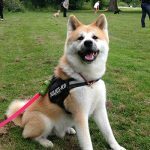 We have learned so much about how our rescue dog’s reactive behaviour can be helped through the stimulus of training. We’ve learned basic commands like down and stand as well as search and retrieve techniques. We’ve also learned to use positive reinforcement to help her not be overly concerned when people visit the house. 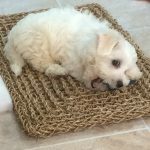 Nellie is now calmer and has learned behaviours that help her cope when people visit the house ... she has also become more playful! 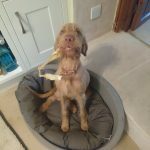 "With Joy we learned fantastic, mentally challenging games for our puppy 'Nala' which were really successful. We also learnt how to use our body language to get Nala in to position and how to ‘leave’ ‘drop’ and 'fetch'. We particularly found ‘bowl and recall’ useful. We would absolutely recommend Joy." Joy has a lovely gentle way with both people and dogs. She put things across in a sensitive but straightforward manner and Pepper's behaviour has definitely improved. Joy restored my faith in puppy training. Puppy School was great fun. 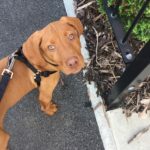 I went along hoping to learn some basic skills to help me manage my very bouncy Vizla puppy, Rosa. I was not disappointed, we learnt together in a happy, fun environment and came away with the tools to develop a responsive, safe and fulfilling relationship. Rosa gets bigger by the day but thanks to Puppy School she and I know how to play and work together without frustration or aggression. She is growing into a lovely, well mannered dog. Joy is an excellent trainer, she has such great knowledge and lots of time for you. Our dog, Juke suffers from separation anxiety, and was very upset every time we left him in the house. After 2 training sessions with Joy we have noticed such a difference in him. 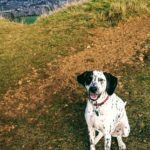 All the great tricks and advice that Joy has given us, mean we now have a much happier dog. The training sessions are brilliant, plus Juke very much enjoys the sausages! 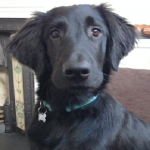 Our rescue dog Blue was pulling on lead, jumping at people and could be destructive when left alone. 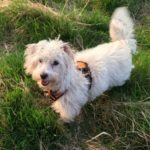 Joy showed us many useful training techniques to make the training fun for our dog. The important thing I have learnt from Joy is 'timing' - ie treating Blue at the right time. 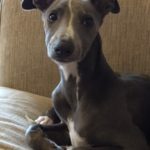 Joy showed us Blue’s potential - and she is a different dog now. Joy is a very good trainer and it has been a pleasure to work with her. 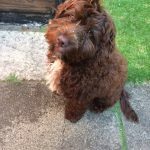 I contacted Joyful Dogs because I wished to train Belle as a therapy dog and I needed some help in reducing unacceptable behaviours such as jumping up. Joy helped me understand the process with easy, step-by-step methods and responded to all my requests and queries. 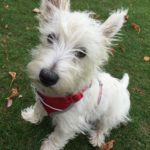 The training was fun and Belle is learning new behaviours fast ... including some cute tricks! I would recommend Joy, she is friendly, fun and knowledgeable. 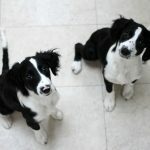 Lilah and Bonnie are super-bright Collie/Springer crossbreeds. What Joy brings to our house is a calm, patient attitude that has rubbed off on us all. We watch the way Joy interacts with our dogs and listen to her advice. It works. We have made extraordinary progress in a short time and we feel so encouraged by Joy. Lilah and Bonnie, who are generally nervous of people outside the family, love her! 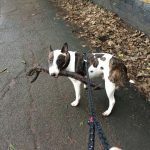 I was having trouble with Coco's recall: Joy explained the importance of maintaining a bond with Coco whilst we were out walking and taught me lots of activities to do just that which Coco found interesting and exciting. 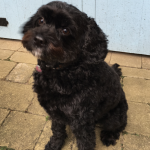 Coco absolutely loved her hour with Joy and I found it inspiring; Since adopting Joy's philosophy we have all seen a major improvement in Coco's behaviour – she is far quicker to respond to us and also 'checks in' with us constantly. Joy was a pleasure to work with and managed to inspire my teenagers as well as my dog - no mean feat! George’s recall was non-existent! Consequently, I never let him off the lead. Then I had some 1:1 training with Joy; she gave me confidence and loads of useful ideas to keep George focused on me. 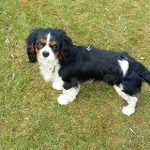 George loved the different activities and I can now take him to the park - even in daylight when other dogs are around! He doesn't tend to jump up and comes back when called. I highly recommend Joy for any behaviour problems you have with your dog. She's so patient and kind, and she just makes you feel good! Joy introduced us to a large number of techniques to develop Hudson’s training. 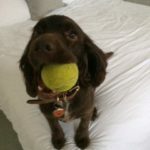 To Hudson, they were just games with a treat at the end of it (eg games for ‘find it’, ‘leave it’, ‘fetch’, ‘come here/recall’) but they created a personality that is just right. 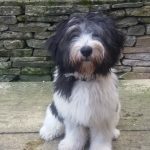 The best part is seeing how it all fits together – ie from Hudson being obedient at feeding times (not going for his food unless told), to leaving or dropping items on cue, to just being very friendly around other dogs and people. I would absolutely recommend Joy. My daughter Poppy and I have loved the last 6 weeks at puppy School. Thank you Joy for all your advice, enthusiasm, care and attention. I feel much more confident about how to handle Coco in many situations. Patti jumped up at people, pulled on the lead and was not responding to commands. Joy's manner was very helpful, always calm and in control, she rapidly connected with Patti and kept her concentrating. 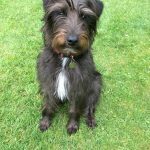 We have seen significant improvement in Patti’s behaviour - she is calmer, more obedient and walks much better on the lead. We would definitely recommend Joy to others. You've taught me everything I wanted to learn! Plus, last week's "settle down" lesson has been a success too! Brody now settles on the floor beside the sofa while I work or read ... then he comes up beside me for a nap or a cuddle when I'm ready. You are an amazing teacher. Thank you for helping me to get to know how dogs tick. 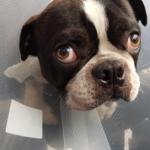 Poor Reggie's behaviour was taking its toll. Reggie could not be alone, he had to be as close as possible to us at all times or he’d get so anxious & beside himself. Joy has been wonderful training Reggie in a lovely manner. Reggie is now more relaxed and does not get in a tizzy! He's done really well in a short time and loves the lady (Joy) that comes with a never ending supply of sausages! "I would thoroughly recommend Joy - she achieves results by being calm, firm but kind and patient. 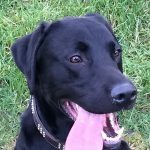 I was having problems with my Labrador, Rigsby who is constantly jumping up. Joy taught me to understand things from his point of view; to persuade and reward rather than impose my will and punish. This makes for a better relationship and Rigsby is steadily improving."